I'm just so proud of my husband. 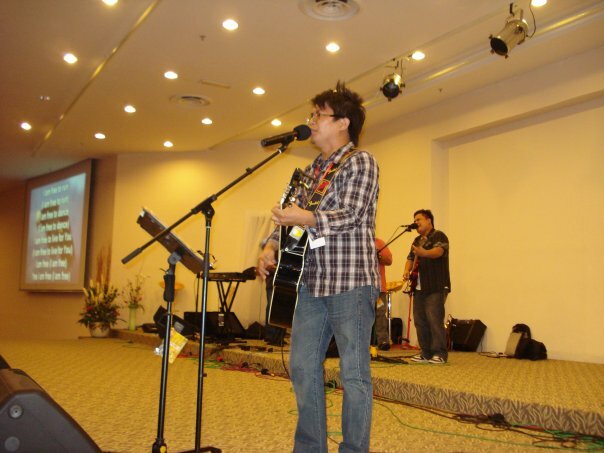 Tomorrow in our church service, he will be in keyboard and not with his usual acoustic guitar. This will be his first time and though he doesn't really knew that much I am still one proud wife. Why? You see, when our regular drummer was on sick leave, he pitched in and played drums for a month, at times when our bassist is leading the worship, he will be playing bass guitar. I can now therefore say, he really can play all the instruments we have in church. Not to mention of course that he can sing too! Aside from that, he was able to composed several songs that we regularly sing in the church and in other outreaches. What makes me even more prouder is that he didn't have any formal lesson in music. Anyways, I am blessed with a husband that has so many talents and I hope and pray that the Lord will bless us too with kids that will have the same talents as their father had. How cool. You have every right to be proud. Self taught is even better.